Pretty Cakes & Super Kawaii Cupcakes! 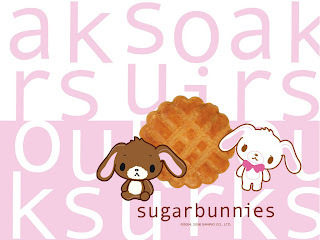 Happy Birthday to Sanrio's Sugarbunnies!! Silly Little Video Featuring A Kawaii Boot! Happy Birthday to Sanrio's Dear Daniel! 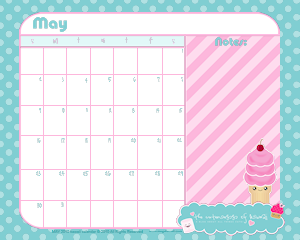 Free May Printable Kawaii Calendar! 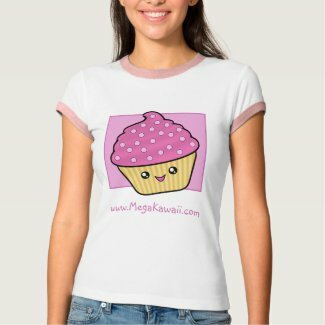 This super cute kawaii cupcake design by The Spotted Olive™features an happy little cupcake with pink frosting, a brown argyle wrapper and adorable little cherry on top! Hearts off to the side with the words cute & tasty beneath. The dot on the end of the exclamation point is a fun little skull and crossbones. It's super kawaii! 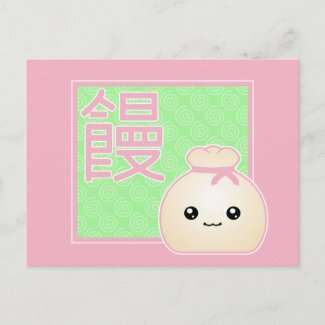 This kawaii character design is also available on a variety of other products including t-shirts, badges, stickers, bags, mousepads, postage, cards and more! Wow! Check out these adorable Hello Kitty confectionery delights!! They are so kawaii and look delicious. We found this fun little video on the Sanrio Town website. Today is the birthday of two cute little twin bunny boys, Shirousa and Kurousa, also know as the Sugarbunnies! Kurousa is the brown bunny. He is kind, laid-back and always concerned for his brother. Shirousa is the white bunny boy and is stylish and full of fun. He tends to be the leader of the two. These darling little bunny brothers are master confectioners with a magical touch and love to bake tasty treats filled with special dreams and wishes for people. Once you bite into one of their delightful creations, you will be filled with happiness. Happy Birthday Shirousa & Kurousa!! Here's a cute little commercial we found for Meiji Candies. The candies are so kawaii! Enjoy! Happy Monday, everyone! Hope you had a super kawaii and fun weekend. Here's a fun little Hello Kitty video we stumbled across today. It's pretty adorable and features alot of your favorite Sanrio characters. Enjoy! OMG! Look at the cuteness you can get from McDonald's in Japan! Super adorable Sanrio characters. How fun! We came across this cute little video and thought we'd share it since it's raining here today. Makes me want to put on my wellies and jump in puddles! It's just fun. Enjoy. Today is the birthday of one of my favorite Sanrio characters, Chococat. This sweet little boy cat gets his name from his chocolate colored nose! And although he seems to be a bit scatterbrained at times, this little guy is always up on the latest news thanks to his super sensitive antenna whiskers! Chococat loves to hang out has his house and play with his pals. Make someone smile! 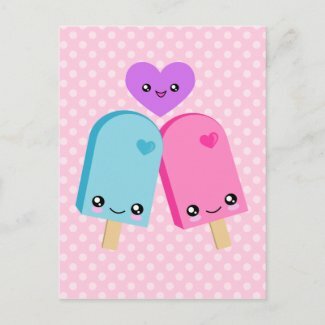 Send them a mega adorable kawaii postcard. It's always great to get an unexpected surprise in the mail. 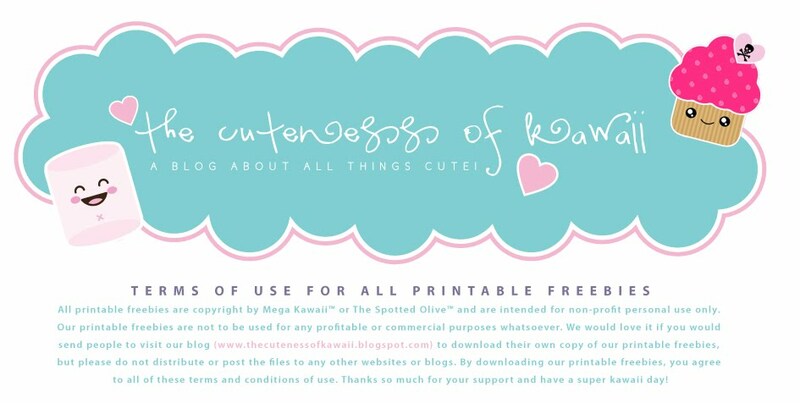 Imagine the delight when someone receives a happy note just to say hello on a darling kawaii postcard from Mega Kawaii™ or The Spotted Olive™. Or start your own collection today! Great for invitations too! We found this video featuring some trendy and kawaii fashion accessories that are in style in Japan for 2010! Enjoy! That's right it's May 3rd and that means it's Dear Daniel's birthday! 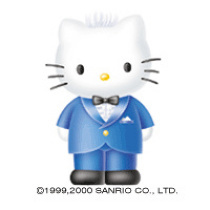 Dear Daniel is a Sanrio character who was born in London. His full name is Daniel Starr and his trademark is ultra-spiky hair. Dear Daniel enjoys dancing, taking pictures of animals and playing piano. He loves yogurt and cheesecake. Dear Daniel and Hello Kitty have know each other since they were babies and is often referred to as Hello Kitty's boyfriend. He's so kawaii! Happy Birthday Dear Daniel! We found this interesting video on Japanese sweets known as wagashi. The detail and thought that goes into making these beautiful confectionery creations is absolutely incredible! So gorgeous and kawaii, you almost don't want to eat these amazing sweet treats.